In 2014, CARPHA and CTO launched a Regional Tourism and Health Programme geared at strengthening the links between tourism, health and environment for more resilient and sustainable tourism in the Caribbean. The US$2 million Caribbean Hotel Energy Efficiency Action Programme (CHENACT) was meant to drive the Caribbean hotels to implement energy efficient practices and to generate their own renewable energy. This, in turn, is expected to improve their competitiveness through improved energy use. 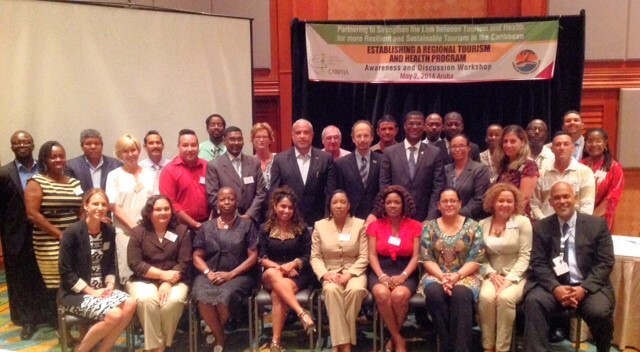 The region’s public and private sector tourism groupings, the Caribbean Tourism Organization (CTO) and the Caribbean Hotel & Tourism Association (CHTA) – through its environmental arm, the Caribbean Alliance for Sustainable Tourism (CAST) – conducted a 24-month project to help the Caribbean hotel sector move towards energy efficiency. One of the main components was the design and preparation of the energy efficiency programme and institutional strengthening. Using Barbados as a case study, this component involved performing detailed energy audits and understanding energy consumption patterns among Caribbean hotels. Other key components included support for the preparation of policy in energy efficiency for the tourism sector; assessing Caribbean energy service companies and their potential to service the tourism sector; and energy consumption surveys. The CHENACT project was conceptualized by the Inter-American Development Bank (IDB), which is contributed US$1 million to the budget, with the remainder coming from a number of participating agencies and the government of Barbados. The CTO was the executing agency, while CAST implemented the project. The overall objective of this UNEP-CTO project was to assess CTO member country sustainable tourism-related priority needs and current and past institutional sustainable tourism programming and investment. A participatory high-level regional Symposium and consultation process to discuss identified needs took place in October 2012.